Put A Bow On It! Flash Sale! The Christmas cards are arriving and the weather is certainly chilly! 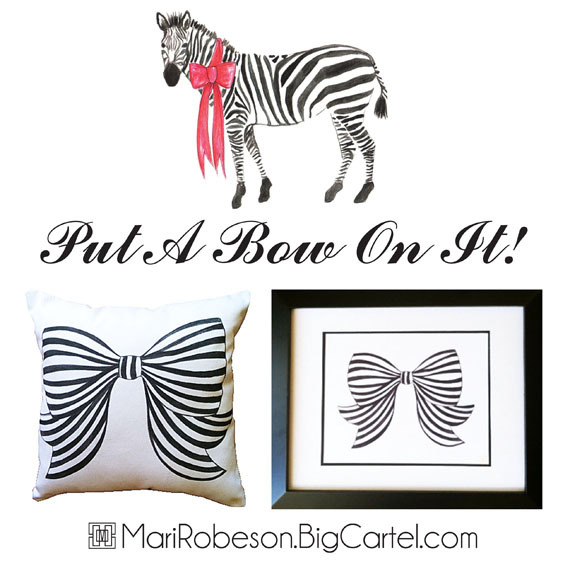 The holidays have arrived so I'm having a Flash Sale on my Petite Bow Pillow and Art Print! December 6th, 2013. While supplies last, take 20%Off! Use Code: FlashFriday! Cheers!